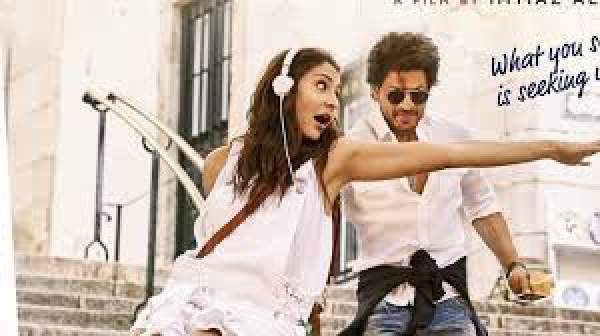 Jab Harry Met Sejal, the upcoming Bollywood movie of Shahrukh Khan and Anushka Sharma is being promoted through mini trailers. Here is the third (3rd) trailer titled ‘Excuse Hai‘ in which they try to solve the ring mystery. The makers are making a new era of promotions via releasing mini trails to the actual film. The coming film is a romantic one and revolves around the lives of Harry (Shahrukh Khan) and Sejal (Anushka Sharma). In this particular teaser, the duo is on a hunt for the missing ring. On one hand, Sejal is desperate and adamant to find her ring while on the other hand, Harry finds himself stuck in that situation. However, Harry smiles at the end of the trailer. Is this a clue that something is cooking between the two of them? Directed by Imtiaz Ali, the Jab Hary Met Sejal is one of its kind and brings two people from different worlds close enough. The main characters are on their journey across Europe. In the engagement ring drama and their story, they found freedom, security, solace, love, and paying heed to the inner voice. JHMS is slated for a release date on August 4, 2017. Stay tuned to The Reporter Times for latest Bollywood news and entertainment updates around the world.